Ersal Ozdemir was born in Mersin, Turkey, and graduated from Purdue University with a degree in Civil Engineering. He is involved in a multitude of community organizations, including serving on the board of directors for the Greater Indianapolis Progress Committee (GIPC), the City of Indianapolis Sister Cities Committee, Community Addiction Services of Indiana (past Chairman), American Turkish Association of Indiana (Co-founder), Carmel Symphony Orchestra, Children’s Bureau (Vice-Chair), Carmel Economic Development Commission (past President), and the Liberian Humanitarian Foundation. 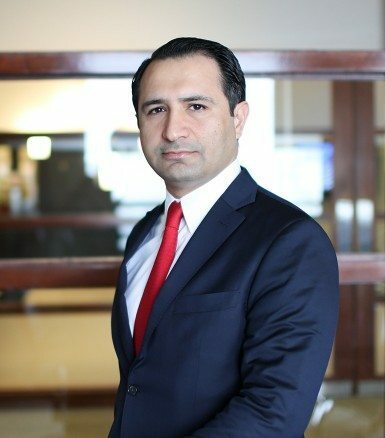 Additionally, Mr. Ozdemir has been actively involved with the Rotary Club, the American Society of Civil Engineers, the Arthritis Foundation, the American Cancer Society, the United States Senate Leadership Summit for Young Professionals, Dance Kaleidoscope, and the Cystic Fibrosis Foundation. Keystone is a commercial construction and development company headquartered in downtown Indianapolis. Mr. Ozdemir founded the company in 1997. Some of Keystone’s past key projects include Six Over Meridian Condos, the Majestic Building, and Madison Plaza. Keystone is currently constructing several large projects in the Greater Indianapolis area, including University Shoppes, Old Meridian Medical Office Building, 3 Mass Condos, and Carmel Art’s District Lofts and Shoppes.